Another chance to collaborate with the Super 8 project called "50 Feet of Song" came my way and I was thrilled to jump in. The concept of the project is to film folk musicians performing a song in one take on one roll of Super 8 film, which is 50 feet of film in length. My previous session with Kirby Brown came out really well and I was hoping to do more. To be honest, it's a bit of a thrill to shoot an entire roll of Super 8 in one pull of the trigger and the results are a truly unique experience of capturing live music. The project was featured on Kodak's podcast, The Kodakery, as well as in Kodak's new print quarterly magazine, Kodachrome, named after their much beloved yet dead reversal film. You may also recognize the name from Paul Simon's legendary song. 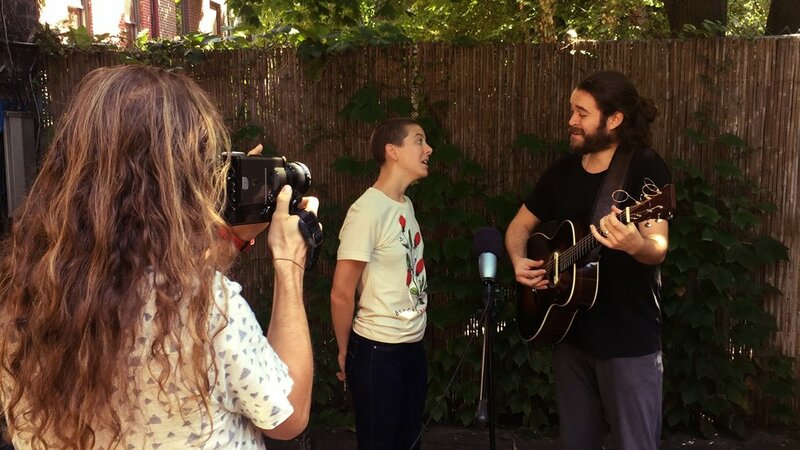 Anyways, I shot this session in Harlem with the fantastic folk band, Birdtalker, who I've been following for a while. Check out the full session below and be sure to not only listen to more of their music but check out more sessions on 50 Feet of Song.